The IT department’s mailboxes have already, for testing purposes, been migrated to the Exchange Online environment. But the mailboxes of the rest of the users are still located on the on-premise Exchange server. After going into full Sherlock mode, the problem became clear. The two users both had a mailbox on the on-premise Exchange server and in the Office 365 cloud. How did this happen? Well, my best guess is that after the user-account was created in active directory and had been synced to Office 365, instead of creating the on-premise mailbox first, the Office 365 license had been assigned to the user. As Office 365 did not see a corresponding on-premise mailbox, it then created a cloud mailbox for the users. After all this happened, the mailbox was created on the on-premise Exchange server. Resulting in the situation that all-non-IT users could directly e-mail the users. The e-mail send by IT was delivered in the Office 365 mailbox. Since the new users’ Outlook was connected to the on-premise Exchange server and not Exchange Online, the user did not see the e-mail send by IT. 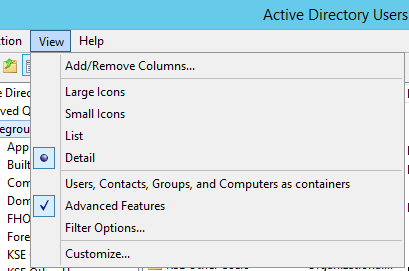 First we need to temporary stop syncing the useraccounts to Azure Active Directory. We’ll achieve this by creating an attribute-filter in Azure AD Connect. We will be creating a negative filter; a do-not-use-these filter. 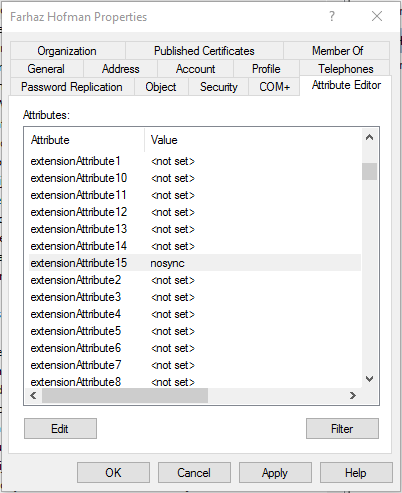 We will be checking if extensionAttribute15 will have the value nosync. Sign-in to the server running Azure AD Connect. Make sure you are using an account with the propper credentials. Select Inboud and click Add New Rule. We now have to set the extensionAttribute15 to nosync for the user(s). After adding or removing a attribute based filter rule. You’ll need to start a Full Synchronization. Sign-in to the server running Azure AD Connect. Make sure you are using an account with the proper credentials. Click on Run the right side. Now wait until a full synchronization cycle has passed. You’ll see that in Office 365 the user won’t be active anymore. The license it had assigned to can be reused. Although the user isn’t active anymore, we’ll have to remove the user from the Recycle Bin before we can continue. Make sure you write down or copy/paste the ObjectID to your favorite editor. The mailbox has now completely been remove from the Office 365 environment. We now have to clear extensionAttribute15. Scroll to extensionAttribute15 and select it. Now click Edit and click Clear. After clear the attribute, the user will be synced to Office 365 again. When it’s resync, you’ll be able to assign a license again and because the on-premise mailbox is present, a Exchange Online mailbox will not be created.